At the Country Inn & Suites Clinton, guests can relax in the peace and quiet of modern, well-equipped hotel rooms and suites, or get out and explore the on-site fitness center, the modern business center and the heated indoor pool. Free high-speed Internet access ensures that you can stay connected when you need to be, and a whirlpool spa provides a welcome escape at the end of a busy day of meetings. Stress-free stays start with hassle-free mornings. That's why the Country Inn & Suites offers a complimentary, hot Be Our Guest Breakfast buffet every day of the week. Wake up each morning to Hampton’s free hot breakfast. Choose from the delicious variety of hot and cold breakfast favorites from the buffet, or treat yourself to one of our famous, fresh-baked waffles, made just how you like it. Get on with some important work in the business center, offering photocopy and fax services for your convenience. Check emails with free internet access and work in comfort in your guest room with our handy lap desk. Unwind after a day of outdoor adventures in our sparkling indoor pool or stay active with an energizing workout in the fitness center. From our hotel, you can take in the awe-inspiring bluffs and remarkable wildlife of the upper Mississippi River area. We're conveniently located on the outskirts of town, within walking distance of many restaurants and shops and less than five minutes from riverfront attractions. Travelers appreciate the free Wi-Fi access throughout the property and the 24-hour Business Center. 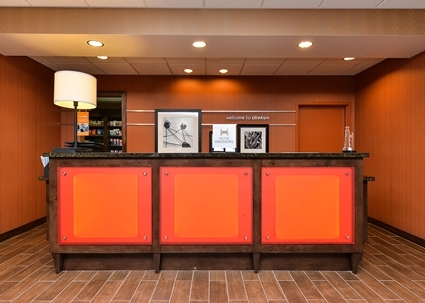 Stay with us and enjoy the hotel's extra perks like the complimentary, hot Express Start Breakfast Bar. Slip into the heated, indoor pool or work out in the Fitness Center to refresh after a long day. Our rooms are unique - they have been designed and constructed to provide you with an optimal sleep environment. This is accomplished by controlling the light, noise and temperature in the room. We look forward to exceeding your expectations for cleanliness, friendliness, quality, and speed of service as we provide a superior rest environment that is attractive, well-maintained, pet friendly and secure at a fair price. Our hotel offers free high speed wireless internet and a meeting room. Other amenities include a 24-hour business center and self-parking. We also feature air conditioning along with shower and tub combinations. 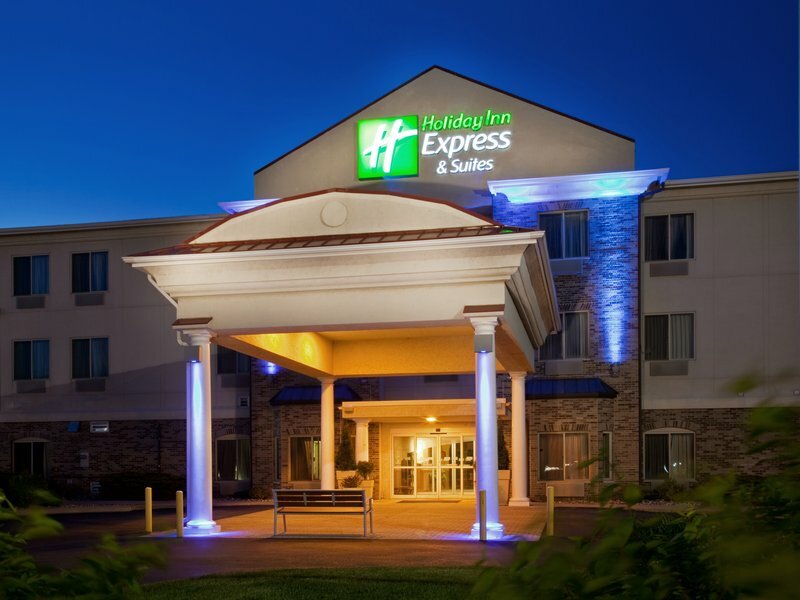 Just minutes from the scenic banks of the Mississippi River, our Clinton, Iowa, hotel is near many area attractions. Start off your day with free 8-item SuperStart breakfast bonanza, and enjoy free 24-hour coffee service. Plan your trip using our free Wi-Fi Internet from the comfort of your hotel room. 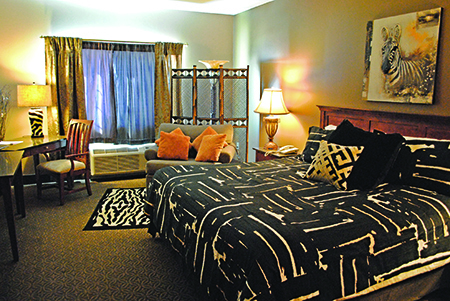 Our pet-friendly Clinton, Iowa, hotel offers free truck / RV parking and guest laundry facilities. Each room features a microwave and refrigerator, and kids 17 and under stay free with an adult. Enjoy newly remodeled smoking and non-smoking rooms with 39” flat screens to watch cable and HBO on. Truck parking available. We are a 52 room motel. We have smoking, non-smoking and handicap accessible rooms available. We also have high speed wireless internet available throughout the motel. 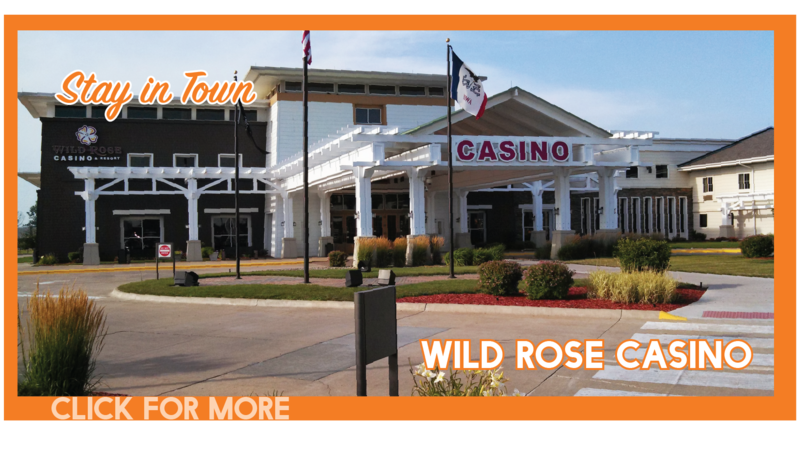 With Las Vegas casino action, great entertainment, and personalized guest service, you are guaranteed to have a great time when you visit the Wild Rose Casino & Resort Clinton. We invite you to relax in our beautiful hotel including 5 newly remodeled theme suites! Aside from a first class gaming experience, we offer dining at Coaches Corner Sports Bar & Grill or Sawmill Buffet and shopping at the Iowa Store where you will find unique items, many made right here in Iowa. Our friendly and knowledgeable staff will ensure your stay with us is one you won't soon forget. 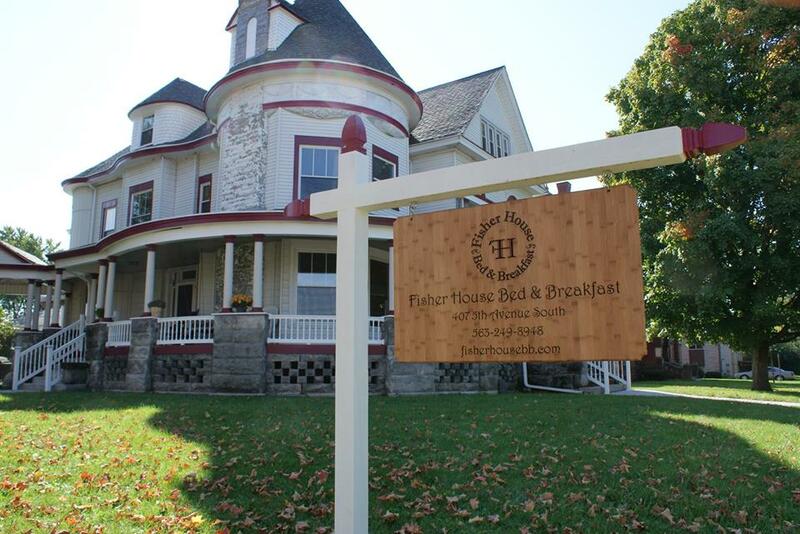 The Fisher House Bed & Breakfast is a newly remodeled 1890s Queen Anne Victorian home located four blocks off the Mighty Mississippi River in Clinton, IA. We have four tastefully decorated second floor rooms each with a private bath for your convenience. 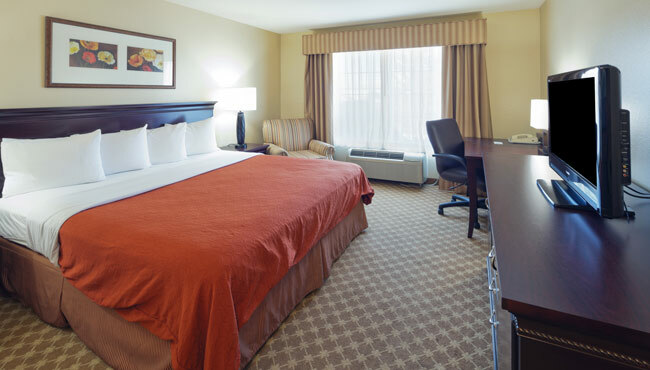 All of our beds feature TEMPUR-PEDIC mattresses for maximum guest comfort. A full, home-cooked breakfast is available from 6:30 - 9:00 am; please let us know if these times don't fit your schedule, we're happy to accommodate your needs. Wi-Fi is available throughout the house so you never have to feel out of touch if you don't want to. Please take some time to explore our site and we sincerely hope we can accommodate your lodging requirements. Managed by US Army Corps of Engineers, Bulger's Hollow is a multi-use recreational facility located 3 miles north of Clinton off Highway 67. This recreation area site on the banks of the Mississippi River give's the visitor a captivating view of pool 13, the widest pool on the Upper Mississippi River. If you are looking for a few nights of good old fashioned camping, then Bulger’s Hollow Recreation Area is your stop. Open year-round on a first-come, first-served basis. 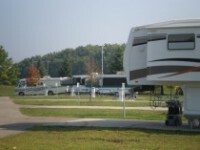 Located on the Riverview Drive, this camp ground offers amazing views of the Mississippi River. Facilities include electrical and water hookup, picnic tables, and dump stations. Fires in personally provided grills & fire rings only. In the immediate vicinity are a boat ramp, marina, professional theatre, swimming pool, tennis courts, professional baseball and riverfront dining. 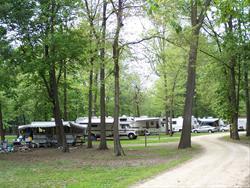 Open year-round and located on the backwaters of the Mississippi River, this campground has lots to offer! Features include cabin rentals, camp store, dock and boat rentals, fishing, bait sales, hiking, water hookups and a dump station.